Provide a solid music education for your child when you enroll him or her in the Birdsong Music School. We teach music classes with piano as a basis for children as young as four years old and give private piano lessons starting at five or six. Beginning lessons for banjo and guitar are also available. Contact us at (318) 349-1041 in Shreveport, Louisiana. 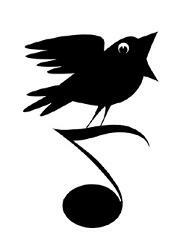 Why Choose Birdsong Music School? We start children off mainly with the Harmony Road Music method which starts much like learning a new language: watching, listening, mimicking, singing and copying patterns as well as reading and writing signs & symbols. Singing, ear-training, ensemble playing, applied theory and composition are a large part of that. Kids that learn to play together always remember how to play together. GROUP LESSONS: We start off with the Harmony Road teaching method. In small classes, children as young as four, along with their parents, learn to sing, play, read, and write the musical language. We Compose, transpose, improvise, harmonize, play rhythm and keyboard ensembles, sing, dance and have a good time performing and playing with and for each other through curriculum geared to their age level. Our classes are offered two semesters per year. There is one 50-minute class each week and enrollment commitment is for one semester. PRIVATE LESSONS: Somewhat non-traditional, we teach playing by ear methods as well as reading. Variations and improvisation are welcomed and considered the height of creativity. Any student who loves to make up their own songs will have a home here. music school and its instruction options for you or your child. Our instructors have played guitars and banjos for a long time, so they're quite qualified to teach students to play them. Beginning guitar and banjo classes are $40.00 an hour. Owner Sandra Odom has 25 years of music instruction experience. She has a degree in social work, psychology, and music education. Additionally, she is a certified Yamaha and Harmony Road music teacher. She got started teaching music with the help of a friend who is also a Yamaha teacher.